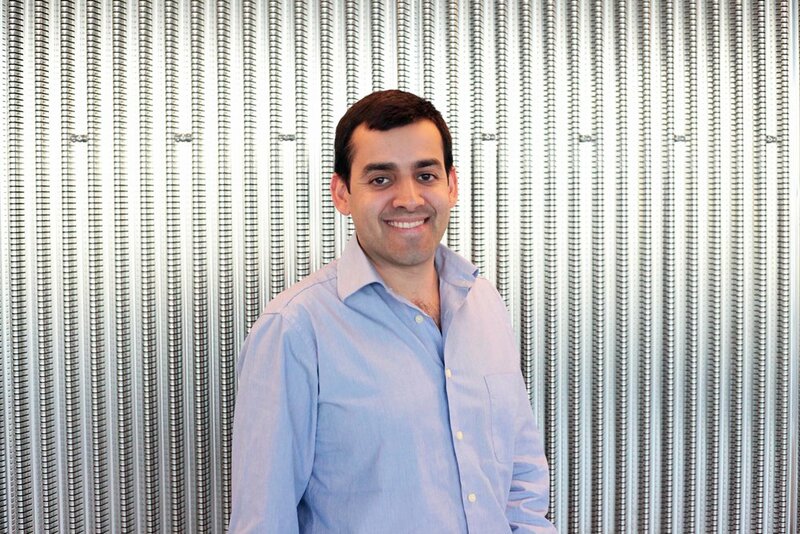 Dr. Sebastian Calderon graduated in Physics engineering from the National University of Colombia in 2006, with a Master in Engineering from the same University. He received his Ph.D. in Materials Engineering, from the University of Minho – Portugal in 2016, with a special European Mention due to the partial development of his thesis at the University of Groningen – Netherlands. He has conduct research worldwide, including the University of Groningen - Netherland, University of Coimbra – Portugal, Materials Science Institute of Sevilla - Spain, Materials Science Institute of Madrid - Spain, Institute for Material Research at Autonoma University of Mexico, Institute of Nuclear Research in Toluca-Mexico and National University of Colombia, enhancing his ability to work in a variety of interdisciplinary groups, with scientists from very different cultural and scientific backgrounds. He work is focused on material science and solid state physics, with emphasis in development of nanostructured materials by physical vapour deposition methods and advance chemical and structural characterization using electron microscopy including HR-TEM/STEM imaging and spectroscopy techniques. Recently, he joined the INL as a Marie-curie co-fund research fellow to develop his project related with the production and characterization of nanostructures able to reduce the amount of oxygen in food packaging, produce an antibacterial agent and promote a chromatic response to inform users about the amount of oxygen absorbed by the packaging. He has published 23 articles in international journals peer-reviewed journals and participated in more than 20 international conferences. The development of materials sensitive to oxygen and able to detect it is one of the main aims in the packaging industry, even 2% residual oxygen concentration may alter food organoleptic properties. The presence of oxygen in the packaging, as well as the permeation of oxygen during storage is avoided by using oxygen scavenging materials and controlled by using packaging materials with low permeability to gases. Most of the commercial active agents used on packaging materials are dispersed in the film matrix or/and used as sachet, cards, and self-adhesive labels that can lead to an inefficient activity of the active compound. Thus, the incorporation of the oxygen scavengers in the packing materials avoids the necessity of additional components. However, the use of these materials do not give information of the level of oxygen inside the packaging or avoid the microbial growth during storage that can happens in the presence of oxygen, and thus acting as intelligent and active packaging. This project addresses the development of a new generation of active and intelligent packaging film for foods through the dispersion of nano-sized multifunctional particles in a bio-polymeric matrix. Enhanced oxygen absorption capacity, as well as high absorption kinetics are expected by alloying Fe and Zn nanoparticles (NPs) by exploiting the larger reduction potential of Fe and by inducing a controlled oxidation of Zn through consumption of oxygen and water present in the package material. After Zn consumption, Fe can also convert into oxide consuming any remaining oxygen inside the package. The nano-sized multifunctional particles confer to the package not only the ability to absorb oxygen permeating from the environment, but also produces ZnO, an antimicrobial agent extensively used in the food industry, that prevents microorganism proliferation. The formation of ZnO is critically dependent on the amount of oxygen and humidity, and is thus automatically controlled by the environment. The increasing number of oxidized NPs in the package induces a change in colour, producing a chromatic effect as a function of oxygen absorbed and antimicrobial agent produced. Carbon-based sputtered coatings for enhanced chitosan-based films properties. Zinc nanostructures for oxygen scavenging. S. Calderon V., B. Gomes, P. J. Ferreira and S. Carvalho, Nanoscale, 2017, 9, 5254-5262. During the first year of the co-fund project, Sebastian has participated in several international conferences where he performed 6 oral presentations. ORAL PRESENTATION: Understanding the phase distribution in Au-FeyOx heterostructures at nanoscale by EELS, S. Calderon V., Oscar Moscoso-Londoño, L. Costa, D. Muraca, M. Knobel, P.J. Ferreira, INCOMAM, 12-13 October, 2018, Coimbra, Portugal. ORAL PRESENTATION: Observing Zn‐Fe galvanic oxidation at nanoscale by aberration‐corrected STEM, S. Calderon V. I. Carvalho, A. Cavaleiro, S. Carvalho, P. J. Ferreira, ICM19, 9-14 September 2018, Sydney. ORAL PRESENTATION: Phase identification of Au/FeyOx nanoscale dimers and trimmers by EELS, S. Calderon V., Oscar Moscoso-Londoño, L. Costa, D. Muraca, M. Knobel, P.J. Ferreira, 2018 MRS Spring Meeting & Exhibit, April 2-6, 2018, Phoenix, USA. ORAL PRESENTATION: Understanding amorphous mesoporous silica superstructures by aberration-corrected STEM, S. Calderon V., , Tânia Ribeiro, José Paulo S. Farinha, Carlos Baleizão, P. J. Ferreira, 2018 MRS Spring Meeting & Exhibit, April 2-6, 2018, Phoenix, USA. HIGHLIGHTED ORAL PRESENTATION - Zinc and Zinc-Iron nanoparticles as oxygen scavengers, S. Calderon V. I. Carvalho, A. Cavaleiro, S. Carvalho, P. J. Ferreira, EUROMAT2017, Thessaloniki, Greece, 2017. Additionally, Sebastian was invited to chair the session “Analytics of film structures and properties II”, 16th International Conference on Plasma Surface Engineering – PSE 2018. Sebastian was selected to participate at the Young Scientist Assembly to share with Nobel Prize Winners Professor Joachim Frank and Professor Dan Shechtman, in a thought provoking panel discussion with Q&A and discuss career planning and development with discipline leaders. Sebastian Calderon is the principal investigator of the project “Nano-sized oxygen scavenger for new active food packaging” (POCI-01-0145-FEDER-30789), grated to an interdisciplinary group of scientist from the University of Minho and the INL by the FCT, securing funding of 239K €. It was awarded one of the three Early Career Award given to young researchers, who are honoured for their scientific work and achievements during their short careers.